Don’t forget to use your Sydney Babyology Baby Shower High Tea offers before time runs out! 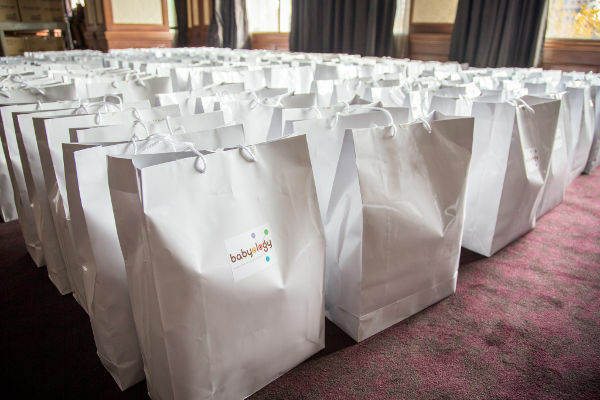 Did you have fun at our Sydney Babyology Baby Shower High Tea last Sunday? It was made all the more magnificent by the spectacular special offers from our sponsors on the day – you might have noticed a whole heap of them on our Facebook page during the shower and in your gift bag from the day. If in all of the celebratory excitement you can’t remember what all the offers were, never fear we’re listing them here so you don’t miss out on any of the savings (and stellar products) to be had! Ergobaby is having a huge winter sale – nab yourself an absolute bargain with up to 45 per cent off a range of products. Bub can relax and so can the purse strings with 15 percent off on all Earth Friendly Baby online brands and products using the code 15BABY at checkout. Join the Huggies Mum-To-Be Club now for your own special offers, promotions and product giveaways plus the chance to win a six month supply of Huggies products. Buy any Silver Cross product at the Silver Cross online store and receive 20 per cent off! Simply enter the code babyshower at checkout. Offer valid till 12 July, 2015. How are you spending your babymoon? Indulge at Sydney’s luxury bayside retreat InterContinental Sydney Double Bay with this divine pamper package. Enjoy a 20 per cent discount off the entire Oricom range at Baby Kingdom until 31st July, 2015. Mention this Babyology Baby Shower offer in-store to claim. Don’t forget to kit out the crib with some entertainment, there’s much fun to be had with the 2015 Nursery Product of the Year, the Double Sided Crib Toy from Tiny Love. Your Babyology Exclusive Gift from Cryosite – receive $600 off! Enrol today to receive $600 off your 25 year prepaid Cord Blood and Tissue Plan using the code BBOLSYD2806. This wonderful discount is valid until 30 November, 2015. CPR Kids have a great offer we’re sure everyone will want in on, after all, would you know what to do if your child was choking? Download your free eBook A life. A finger a pea up a nose – a practical guide to baby and child First Aid. Who doesn’t love fresh flowers? Brighten someone’s day by sending gorgeous flowers. FreshFlowers.com.au has got you covered for all occasions – big or small. Use the code FFBABYOLOGY to receive 20 per cent off your sweet smelling order. Big savings of up to $100 on Kompressor car seats and the Arlo Infant Carrier from InfaSecure. Save 30 per cent off at Ergobaby. A 15 per cent off voucher from Made4Maternity, thanks to Earth Friendly Baby. Save 25 per cent on purchases from Little M.
A 20 per cent discount on silicone jewellery from Tiny and I. A $50 discount voucher to redeem at CPR Kids. There’s more savings inside the bags to discover too, plus a stack of amazing products for you to sample. Thanks again for being part of our Babyology Baby Shower High Tea!